The Passionate PA is a group of savvy, skilled and intuitive individuals that work in partnership with entrepreneurs, business owners and thought leaders to create momentum and results. We have three Passionate PAs working across Dorset; Debbie, Jenni and Claire. Each provide freelance Personal Assistant services on a one-to-one basis, as well as to teams, helping to manage ‘to do’ lists, implement structure and process, drive efficiencies and most importantly, grow businesses. Each of our Passionate PAs has an extensive skill set and varied business background – having all been senior managers, taken responsibility for budgets, managed teams, driven Sales and been involved in Strategic Planning. We relish every opportunity to work face-to-face with our clients – there’s nothing virtual about us! The Passionate PA’s Member to Member offer is 10% off your first month’s invoice for PA services. So, what can The Passionate PA do for you? 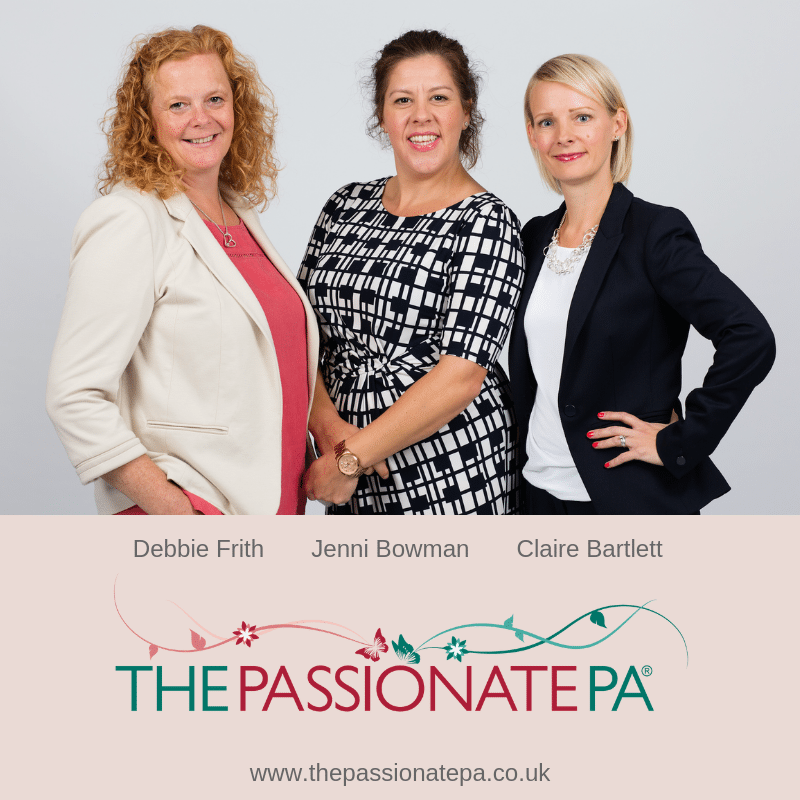 To name but a few… Contact Kate Chastey today to discuss your requirements and how a Passionate PA could help your business grow.